5000 mAh portable charger with A Grade Li-Po battery for your mobile phone or small device that can recharge from a USB port. 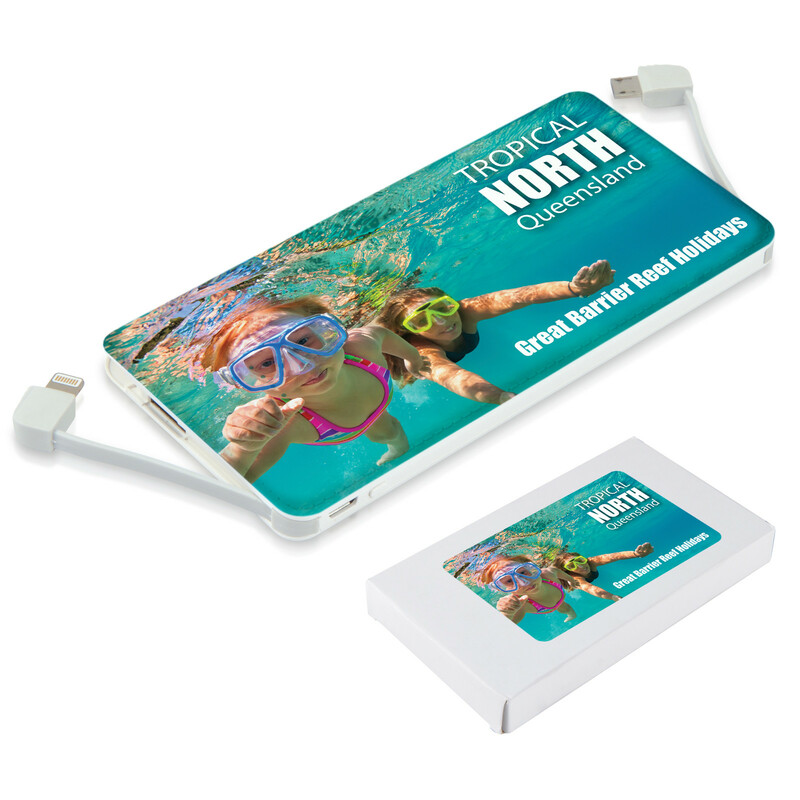 Includes integrated micro usb cable & separate 8 pin cable housed in case. 4 graduated power LED indicators. Recharges most phones on the market 2+ times and Tablets up to 50%. Includes micro USB cable to charge Power Bank.